The Ballot or The Bullet is a maximal sax & drums meeting from Olympia, WA based (but always on tour) saxophonist ARRINGTON DE DIONYSO & Los Angeles based percussionist TED BYRNES. Many folks probably know Dionyso from his work under the Old Time Relijun & Malaikat dan Singa monikers. Percussionist Ted Byrnes has played with a who’s who of the LA experimental scene…Sissy Spacek, LAFMS (including Smegma, Airway, Rick and Joe Potts, Tom Recchion, etc) Zola Jesus, The Rita, as well as folks like Jeff Parker, Michael Foster, Scott Cazan, William Hutson and more. The recording for The Ballot or the Bullet comes out of De Dionyso’s never-ending THIS SAXOPHONE KILLS FASCISTS touring, and this particular duo recording with Byrnes came amidst a handful of shows together in California. The music is unrelenting in a beautiful way that initially brings to mind both Coltrane’s “Interstellar Space” duets with Rashied Ali (or even Rashied Ali’s “Duo Exchange” with Frank Lowe) & Dionyso’s interest in Indonesian trance music. There is a non-stop pulse throughout the albums 50 minutes. Dionyso by now should be considered a saxophonist on par with many of today’s best and paired with Byrnes free-everything drumming the two create something that is more than just another sax & drums duo record. Both the title of the record itself (a nod to Malcolm X’s 1964 speech, and also a nod to the recent election and unrest in the US) and the relentless energy voiced in Dionyso & Byrnes playing give us a clear picture as to what they hope to convey in the music. Get into it and let them speak to you too. 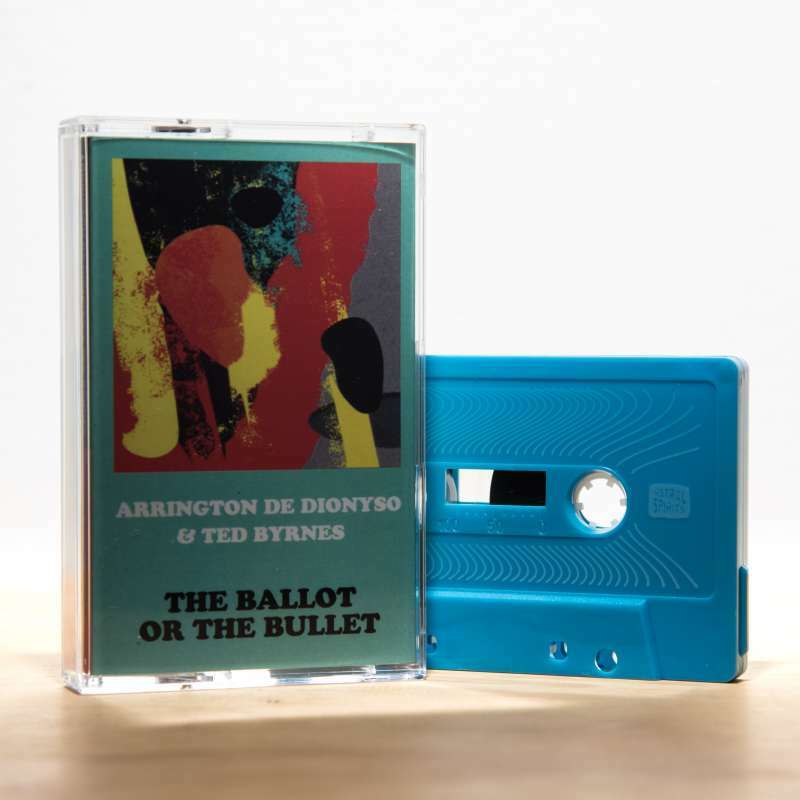 Arrington De Dionyso & Ted Byrnes “The Ballot or the Bullet” is out September 22, 2017 in an edition of 150 cassette tapes with digital download.